3 Reasons to Spring Clean Your Colon! 1) Removes toxins which increases your energy! Releasing the toxins from your body is rejuvenating because it refocuses the energy usually used for forcing waste through your intestines to other parts of your body. People who have undergone colon detoxification say they have better blood circulation, more restful sleep, and a boost in energy. 2) Reduces bloating: Colon hydrotherapy helps removes toxins and undigested food thus relieving bloating and heaviness, so you feel lighter and cleaner on the inside. 3) Increases the body's absorption of vitamins and nutrients. A colon that's been cleansed allows only water, vitamins and nutrients to be absorbed into the bloodstream, creating an unobstructed path for essential nutrients to filter into your body. 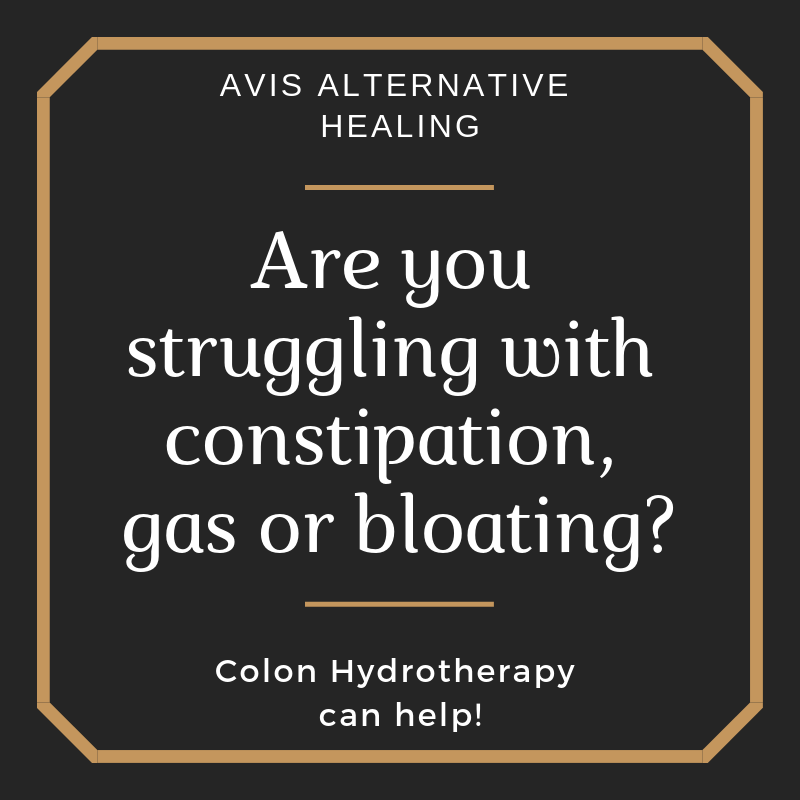 Additional benefits of colonics can include increased energy, improved circulation, clearer skin & eyes, mental clarity, weight normalization, relief from constipation, bloating and heaviness. If you’re ready to clear the clutter and unload the baggage you accumulated over the winter, call today to schedule your colon hydrotherapy session. It will leave you feeling lighter, brighter and energetic. Gout is a form of arthritis caused by an excessive amount of uric acid in the blood stream. The symptoms of gout are caused by the uric acid crystals that are formed in the joints. Uric acid is a toxin which is also associated with renal insufficiency and cardiovascular disease. The colon maintains the pH balance in the bloodstream. Foods that cause colon blockages are acid forming foods, particularly high protein, which are the same foods that cause gout. The job of the colon is to only allow water, vitamins and minerals to pass into the bloodstream. When the body is too acidic, the colon tissue becomes inflamed and can no longer do its job. Skin conditions such as psoriasis, shingles and eczema may benefit from regular colonics along with those that suffer from headaches, back and shoulder pain, aching joints and gout. Colon hydrotherapy (colonics) is intended to help remove uric acid and other toxins from the system to reduce pain and swelling and makes the digestive system more effective which helps the kidneys and liver continue to cleanse the system more efficiently. 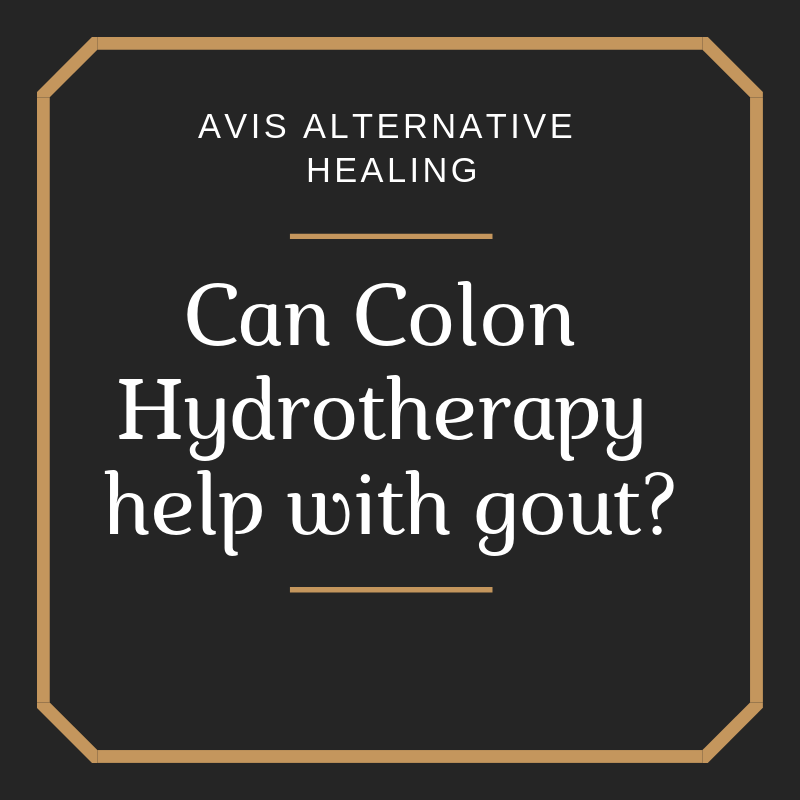 If you or someone you know suffers with gout, call today to learn more about how colon hydrotherapy may help. Are you struggling with constipation, gas or bloating? Feeling sluggish? Mental Fog? Colon cleansing can help improve your body’s overall health and wellness by improving your digestive system, increasing energy, absorption of vitamins and nutrients and much more. Here are 5 important ways Colon Hydrotherapy can improve your digestion and overall health. As the colon is cleansed, it pushes waste through your system, clearing the way for good nutrient absorption. A clean colon allows waste to pass easily. 4. Increases the body's absorption of vitamins and nutrients. These are just a few of the reasons why having regular Colon Hydrotherapy can improve the way you look and feel. People do regular maintenance to the outside of their body such as Nails and hair etc.… but what are we doing to improve our inside? Colon Hydrotherapy is like an oil change for you body, it clears the sludge so your system runs much better. If you are ready to be more regular, have more energy and streamline your engine. Call me today. You don’t have to go around feeling bloated and miserable all the time. Colon Hydrotherapy is a natural, safe and gentle way to cleansing the large intestine.